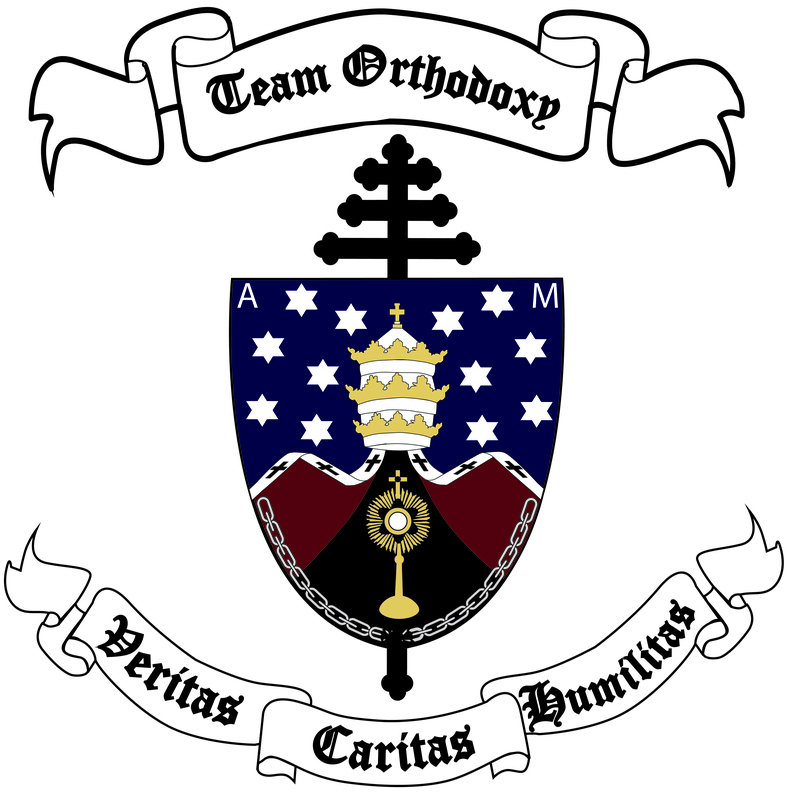 TEAM ORTHODOXY is a group of young faithful Roman Catholics, committed to the cause of proclaiming the Gospel of Jesus Christ, and adherence to the teachings of the Magisterium of the Catholic Church. Our hope is to inspire and ignite a passion for the One True Faith in the hearts and minds of everyone we know and meet. With a great passion for Our Lord, truly present the Most Blessed Sacrament of the Altar, we desire to see a renewal of reverence for the Sacred in a world ravaged by indifference. 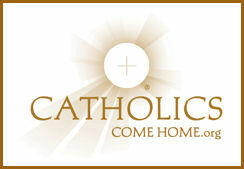 We hope that this website will help all to grow closer to Christ and the Church. Please be patient with us, as this is truly a work in progress. Our mission is dedicated to the intercession of Our Lady of the Most Blessed Sacrament, Pope St. Pius X, and St. Peter Julian Eymard, for the greater glory of God and His Catholic Church. I am wondering if you have considered looking into the Orthodox Church? The Eastern Rite is a beautiful and wonderful rite. I have been quite a few times to Eastern Rite Catholic Churches such as the Ukrainian Catholic Church, and attended the Liturgies. I absolutely love them. Regrettably, the Orthodox Church is in schism with the Church of Rome and therefore, though their Liturgies are beautiful, we as faithful Catholics, are unable to participate with them unless the Orthodox Church returns to the unity of the Catholic faith and recognizes the Primacy of Peter. I hope and pray to one day see the Orthodox Church return and become one with the us. God love you. I love the coat of arms you have chosen. I am keeping up with your blog and I am praying for all of you, guys! God bless! Thanks a lot, Miri 🙂 I’m praying for you as well, and your youth ministry! Thank you for the nomination, Roy. We really appreciate it. Oh my God!! I am so happy I found this site! I am a 16 year old Roman Catholic. From about the age of 12 on to now, I have always loved my faith, and my love has steadily grown for our awesome faith. And it is orthodoxy I love the most, heresy annoys me more than any could tell, and now I am overjoyed I have found a group of like minded young orthodox Catholics! I look forward to joining this great site sometime soon! Please pray for me; I will pray for you. ~~ God bless you all! Thank you so much for loving our site. I hope that we can be benefit to you spiritually. I had my conversion at the same age as you did, and it is the best decision I ever made. Let us know if we can do anything to help you out. Also let us know if we can pray for you. God love you! Hi, my name is Rae. I am a songwriter who has written a version of “Ave Maria.” I hope you will give it a listen on my blog: http://wp.me/p3mOze-R. It is also downloadable! How can you be team orthodoxy is you are not Orthodox but instead roman catholic? Orthodoxy, at its root means “Right Teaching”. We believe that the fullness of Truth resides in the Catholic Church. Orthodox Christianity, as a “denomination” of Christianity believe that they have right teaching, however, they have placed themselves in schism against the Primacy of Peter (the Pope). When they officially broke away from the Catholic Church, they also lost the Fullness of Truth, which resides in the Barque of Peter. We hope and pray that one day, all Christians, especially our separated brethren of the East, will all be One. Greetings! I’ve been reading “The Imitation of Mary” and came across your blog while doing some research on the Author of the book – Alexander De Rouville. I understand he was a Jesuit Priest, but that is the only information I have about him. Do you have any information regarding his life and death? Are you familiar with any other books that he wrote? I very much love the book – The Imitation of Mary, and am going to give a copy to my granddaughter who will be Confirmed this month. Praise God! Please pray for her. Thank you and God bless you for your ministry. I’m looking forward to reading your blog.